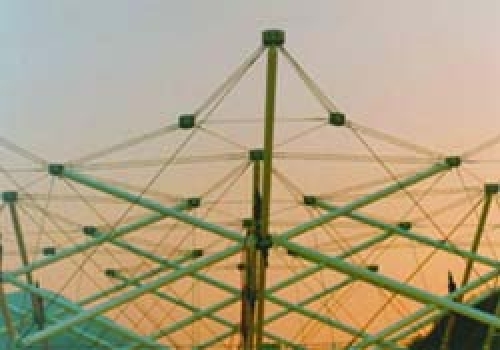 Tensegrity structures are based on a network of element working in pure compression or traction. 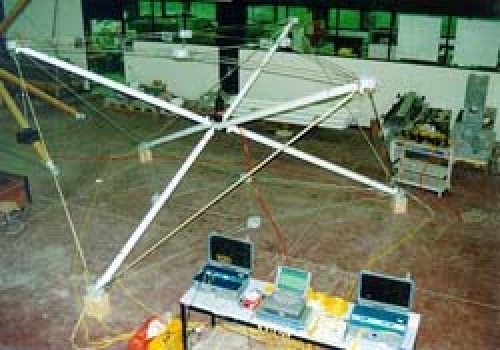 In this experiment, star-shaped tensegrity modules composed of steel tubes and ropes were tested under different types of loading and pre-stressing. SOFO sensors were installed on all elements (tubes and ropes) to monitor their deformations when the structures was pre-stressed and under load applied at different locations.